New Tuna brand, Gold Seas Tuna makes it more Chunky! - Hello! Welcome to my blog! New Tuna brand, Gold Seas Tuna makes it more Chunky! I never had the time to cook healthy food at home so sometimes, I end up eating fast food meals and unhealthy snacks. It has been a constant challenge to not give-in to the temptation. Now that I have a daughter, I would want her to grow up eating healthy food, specially my parents, we're not getting any younger and I'd love to ensure that the whole family has healthy meal options as much possible. 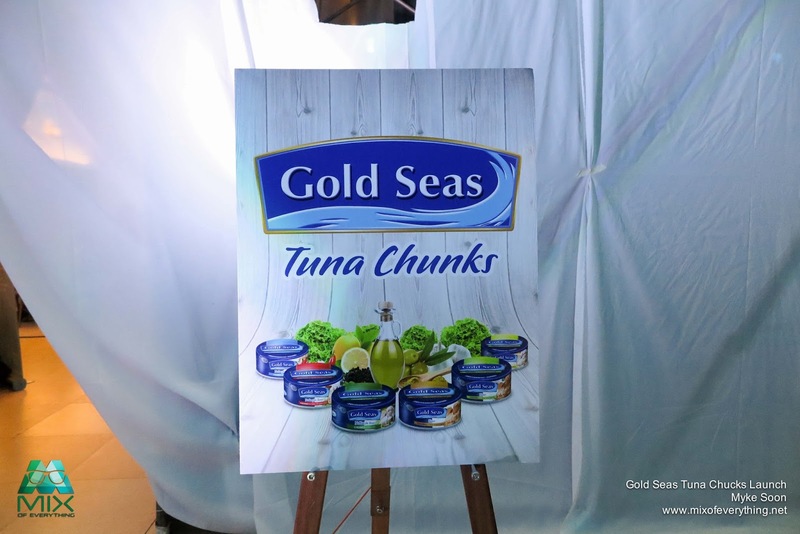 The new Gold Seas Tuna Chunks was launched a few weeks back at the Blue Leaf Pavilion at McKinley Hill in BGC. First I was a bit skeptical in trying out this new brand because I was so accustomed to the other brands and wasn't sure how the taste would turn out. But just by the initial look, it looks so beautiful and premium. 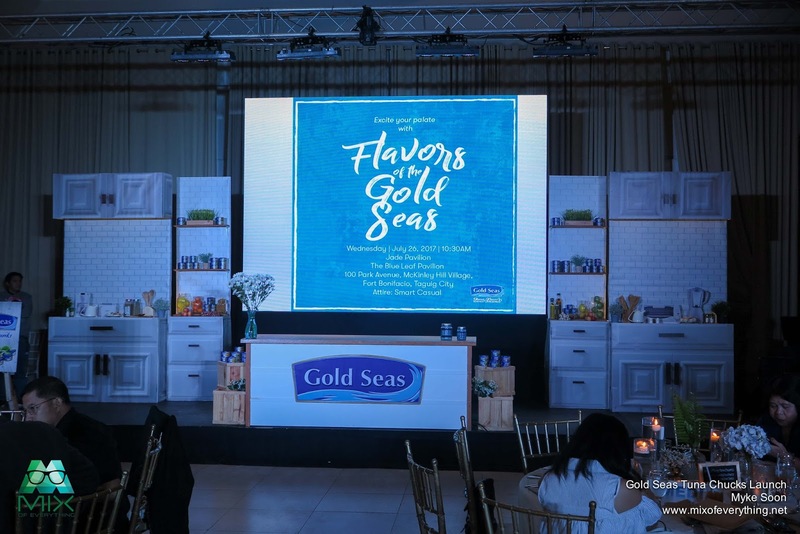 One thing I noticed is that Gold Seas Tuna offers gourmet flavors that appeal to even the pickiest of eaters. These savory variants include Tuna Chunks in Olive Oil, Olive Oil with Chili, Springwater, Tuna Chunks in Herb and Garlic, Lemon and Pepper and Mild Indian Curry. What’s more, oil and water-based variants use premium Yellowfin tuna. As we all know, tuna is rich in Omega 3 and also packs lean protein. 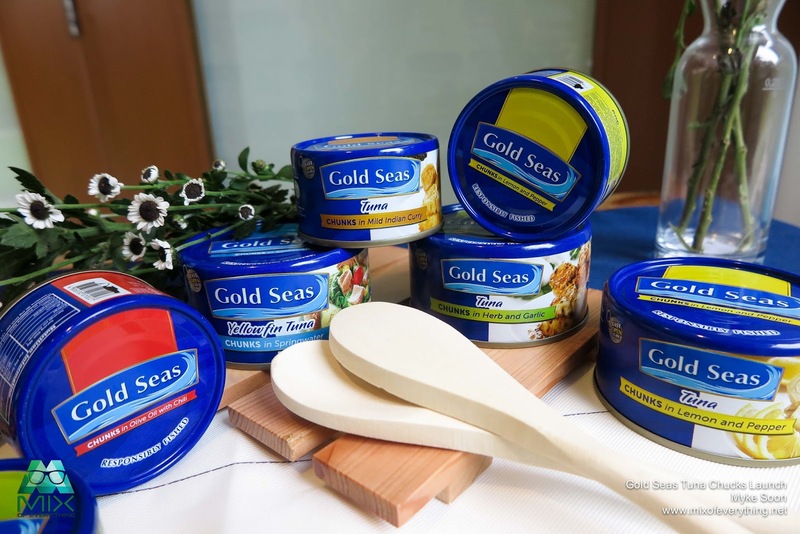 Gold Seas also has less oil content and has more meat compared to other canned tuna brands. 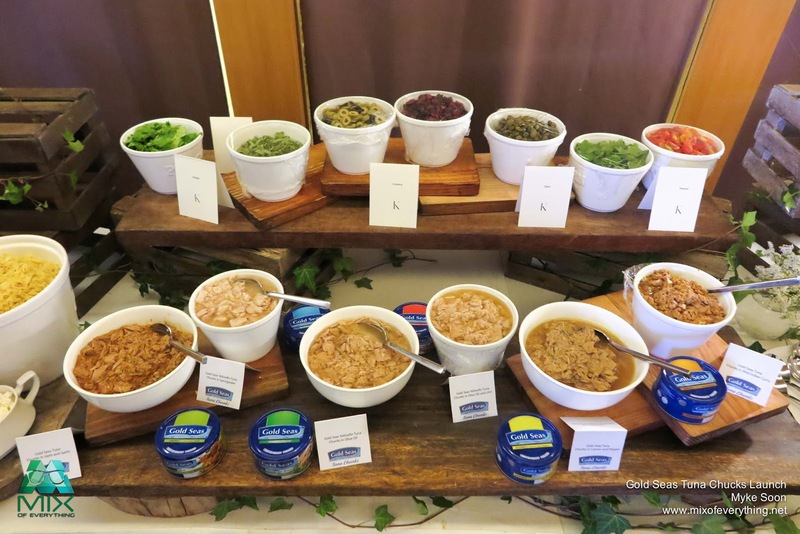 I was able to try their gourmet station and I think I found a new tuna brand that's more chunky! 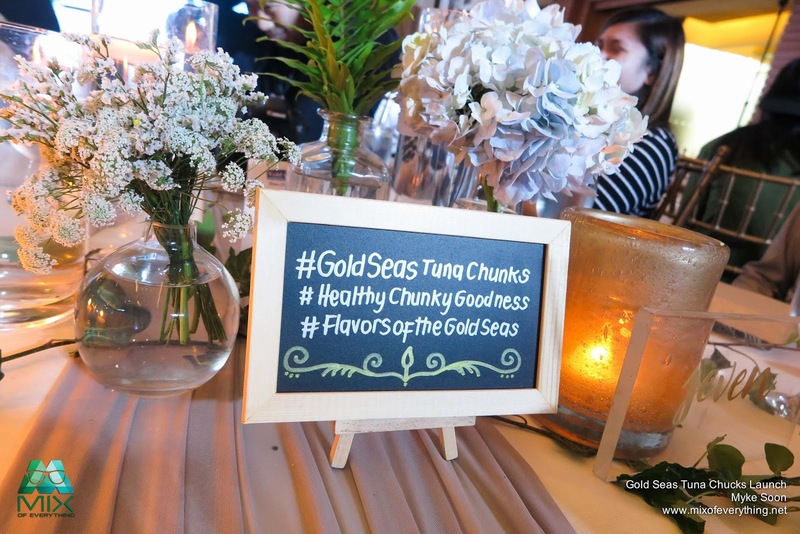 Everyone at the event enjoyed pure, wholesome, healthy, chunky goodness of Gold Seas Tuna Chunks. 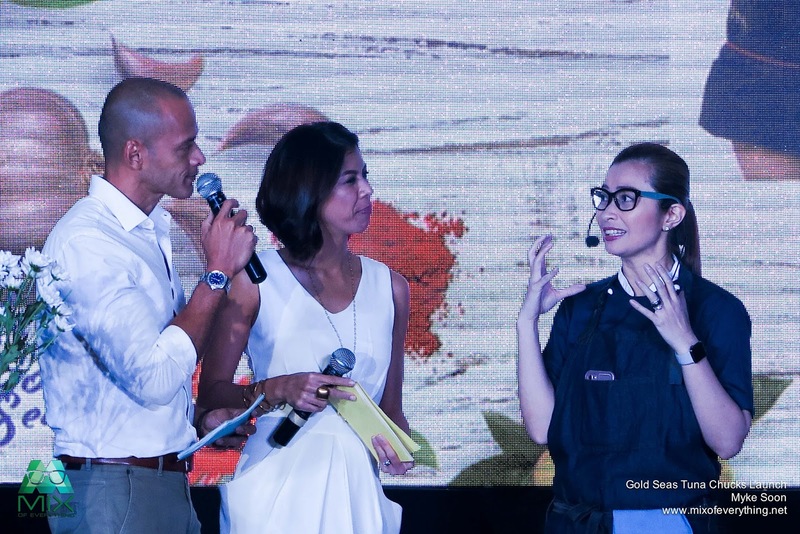 The event was hosted by Paolo Abrera and Suzi Entrata-Abrera, where they talked about how different the new Gold Seas Tuna brand is. 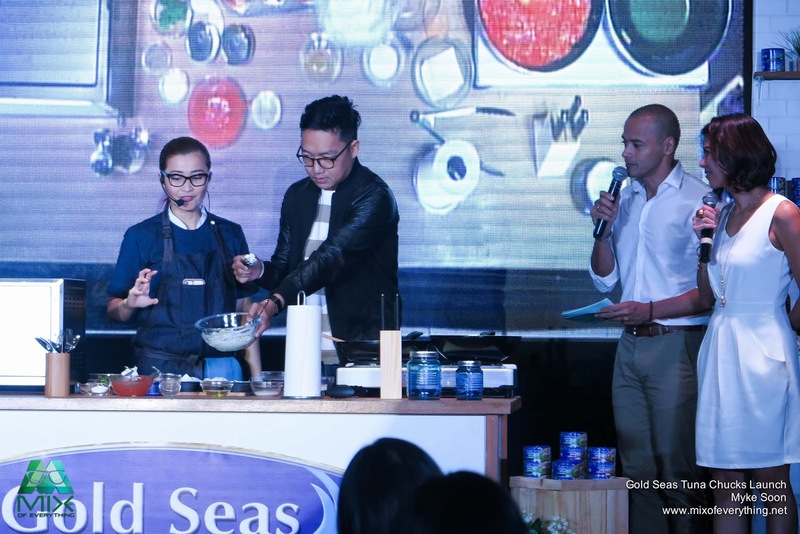 Then they introduced Chef Rose Bud Benitez who demonstrated the versatility of tuna as the primary ingredient in gourmet cooking. 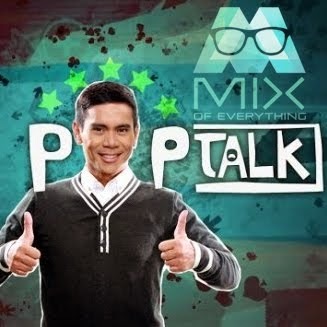 Philip Sanchez, General Manager of General Nutrifoods Phils. Inc. There's me attempting to assist Chef Rose Bud. We made mini tuna lasagna cups and deep fried tuna dumplings. After that, Japanese-certified bento box maker Kat Maderazo taught participants how to make kid-friendly bento lunches using Gold Seas Tuna Chunks. 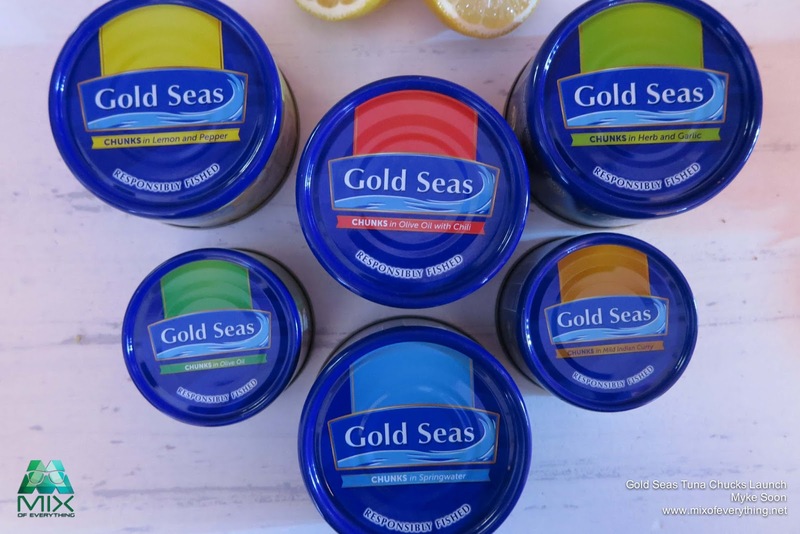 Gold Seas is a product of General Nutrifoods Philippines, Inc., Gold Seas Tuna Chunks undergo a strict canning process and is packed in lithograph cans to ensure that it is as tasty as it looks. 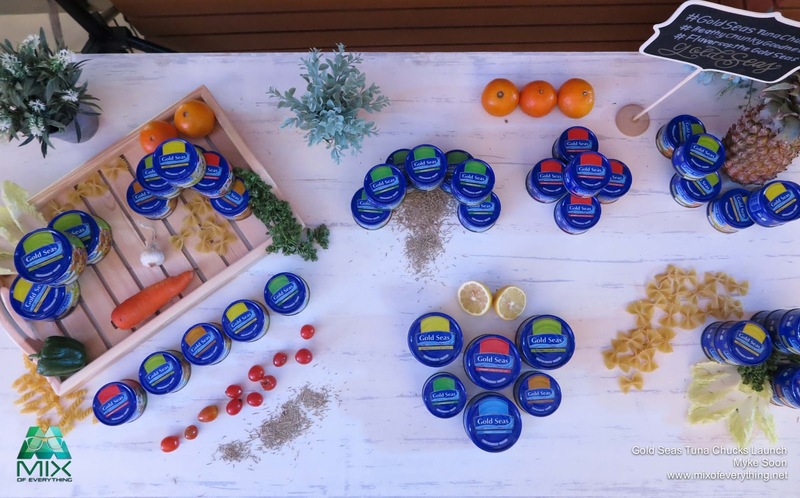 The world-class tuna product only uses responsibly caught tuna to help preserve marine life for future generations. If you also notice the can is beautifully designed, Litho Cans is where designs are directly printed on can. Under those cans is an easy open tab. It's design that way for safety since the top is usually exposed to dirt and other pollutants which can go into your food when you open the can. You can also see on their cans that they put there 'Responsibly Fished', it means that no Fish Aggregating Devices (FADs) were used during the catching. Use of FADs can affect sustainability of fishes in the sea. It can also catch small fishes and endanger species such as dolphins. (L-R) Roland Salangsang, Executive Vice President and COO of RD Manufacturing Group, Philip Sanchez, General Manager of General Nutrifoods Phils. 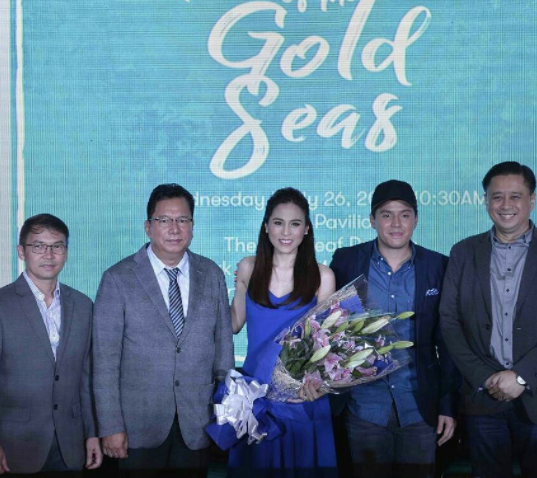 Inc., Toni Gonzaga and Paul Soriano, Gold Seas Tuna Chunks Brand Ambassadors, Rene Banos, Vice President for Export Sales and Marketing of RD Manufacturing Group. 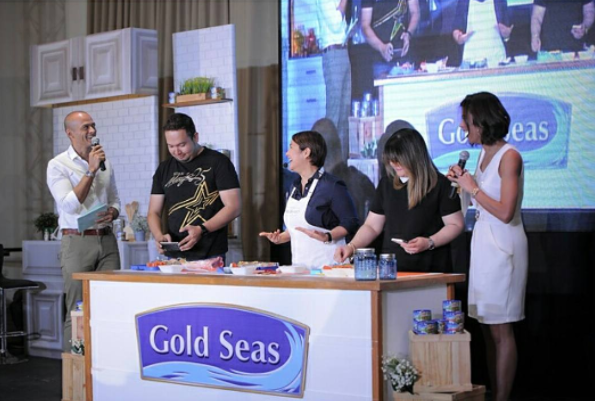 During the launch, Gold Seas also introduced their endorsers celebrity couple Toni Gonzaga and Paul Soriano, who epitomizes the wholesome goodness of Gold Seas Tuna Chunks and have recently entered a new life stage as parents. 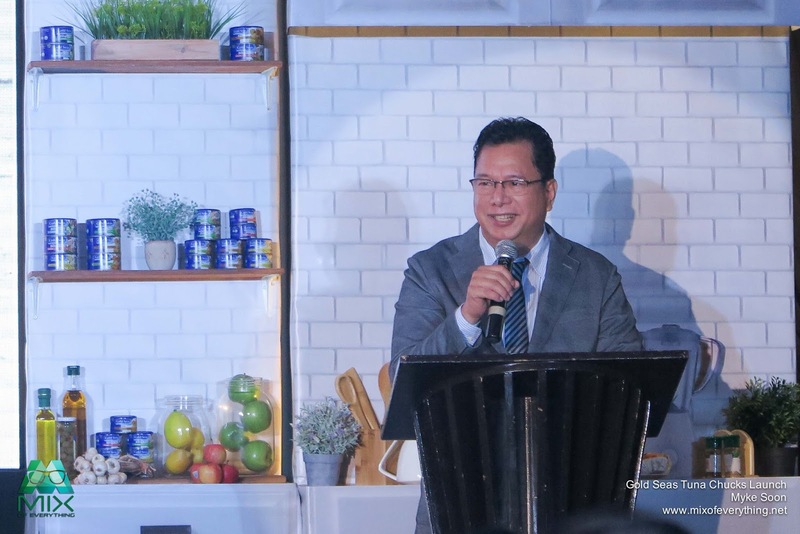 Akin to its celebrity endorsers Toni and Paul, Gold Seas Tuna Chunks believes in the importance of extending as much love and care to family by not compromising when it comes to the family’s overall health and well-being. The occasion was capped with the reveal of the brand’s first TV commercial and a Q&A with endorsers Toni and Paul.